Slightly later than originally intended (! ), Hanguk Yeonghwa’s analysis of Korean cinema in 2016 is finally here. 2016 was quite a year for K-cinema, and a noticeable improvement over 2015 in terms of consistency and quality. 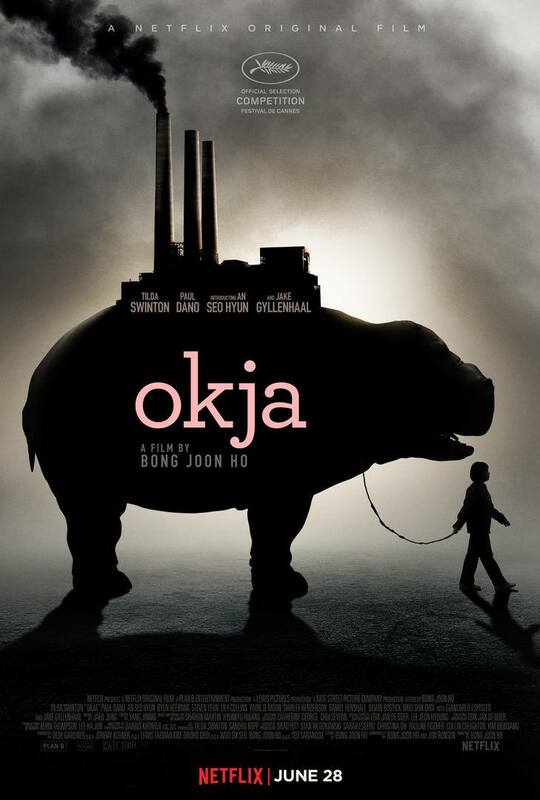 This was largely due to the return of celebrated auteurs Park Chan-wook, Kim Jee-woon and Na Hong-jin in the mainstream, while in the ever-reliable independent realm a selection of poignant and lovingly crafted films were released to much acclaim. The release of such tentpole genre offerings meant that, ‘South Korean film industry exports increased by 82% to total $101m in 2016, according to an analysis report from the Korean Film Council (KOFIC)’ (Jean Noh; Screen Daily). However while there were certainly events to celebrate, the K-film industry still suffered from the same criticisms that have been circulating for the past few years. Despite the increase in production values, the narratives are often formulaic and repetitive, resulting in, ‘Movie audiences have dwindled for the first time in seven years […] [o]nly one Korean film, the zombie extravaganza “Train to Busan,” managed to draw more than 10 million viewers’ (Lee Tae-hoon; The Chosun Ilbo). The Korean film industry was also rocked by the news, ‘over allegations that [former] president Park Geun-hye’s office created a blacklist of artists to be denied government support’ (Jean Noh; Screen Daily), which ‘contained some of South Korea’s most beloved filmmakers, actors and writers, including the director of “Oldboy,” Park Chan-wook, and the “Snowpiercer” actor Song Kang-ho’ (Choe Sang-hun; The New York Times). 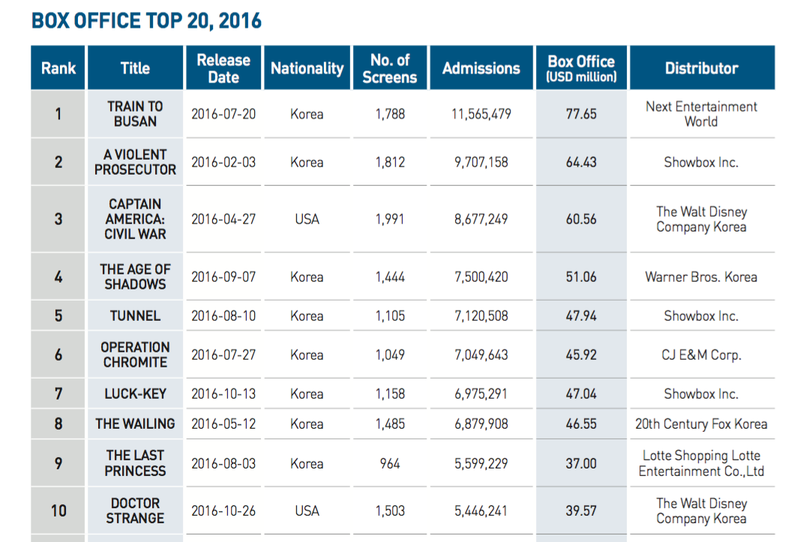 As such, 2016 has been a particularly tumultuous year for the Korean cinema industry, yet for film fans there was much to enjoy. Here are Hanguk Yeonghwa’s Top Ten Korean Films of 2016 – click on the link to begin. As the feature directorial debut of actor Nam Yeon-woo, Lost to Shame premiered at last year’s Busan International Film Festival and I honestly can say it was among my favorites in 2016 along with Our Love Story (dir. LEE Hyun-ju), The World of Us (dir. Yoon Ga-eun) and Worst Woman (dir. Kim Jong-kwan). It proved ones again (just as the rest of the above mentioned movies) that even without a gigantic budget a good film can be made – as long as you have a well written story, a good ensemble cast and a director with vision. It was a breath of fresh air among the numerous Korean blockbusters lately, which despite the millions invested in them and the starry cast, failed to engage and move me. The strongest point of Lost to Shame is its very human story. I believe many people might identify themselves with the main character – a heterosexual young man who gets confronted with the world of the LGBT community and finds out that overcoming his prejudice is easier said than done. 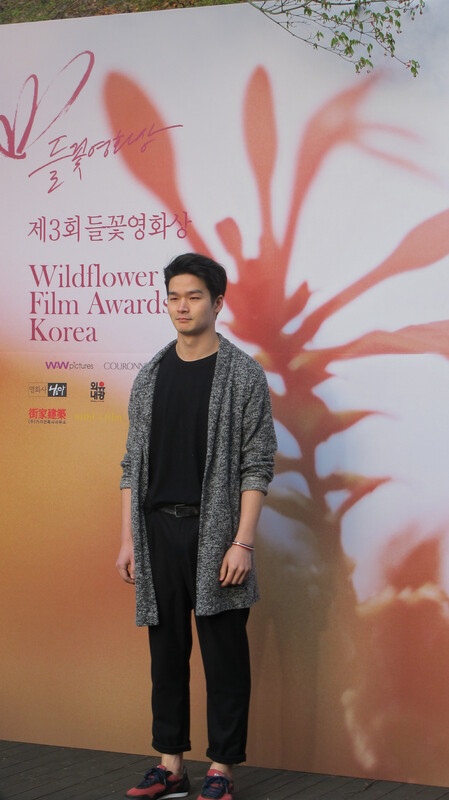 Fans of Korean independent cinema know best Nam Yeon-woo from his acclaimed performance in the 2013’s movie Fatal (dir. by Lee Don-ku). This time he not only directed and produced Lost too Shame, but also wrote the script and was in the leading role. The movie already has 2 awards under its belt: the audience prize at the Seoul Pride Film Festival and the New Choice Award at the Seoul Independent Film Festival. The story: Song-jun is an unknown actor who often has to borrow money from his brother to get by. One day Song-jun is cast as the lead in a famous play about homosexuality and has to portray a transgender. While trying to improve his acting, he enters the LGBT community. But just when he thinks he’s come to understand homosexual love, a shocking revelation shakes him. In Lost to Shame you are not only in front of the camera as an actor but also behind it – as director. Why? – The main reason for me also to direct is the type of roles and stories I want to experiment with. Since for now I don’t have that many scripts sent to me as an actor, I just decided to write the part I wanted to play and about a subject that’s important to me. Did it feel different from being purely an actor in a film? – When I am only acting, I concentrate on my role, I get ready only for that. But here there were so many things to think of, to prepare, to take care of, that sometimes I felt lost. Honestly, it was hard, very hard. Since the budget was really small, sometimes we had to shoot up to 10 scenes a day! So now when I look back, there are things that I as an actor regret for not having done better. But in the end did you like directing a feature film? – Yes. This feeling of seeing what you have imagined coming to reality… it’s amazing. When I direct I kind of feel alive! How did you come up with the idea about this film? – One night I was out with friends. The people sitting at the table next to us started discussing homosexuality. Everybody was like, “It is OK to be gay”, “I have no problem with it”, “I understand those people”… and then one person said that according to him being gay is just not right. All of a sudden the atmosphere changed. At first I didn’t pay much attention to this conversation but then on my way home I started thinking about it. It got stuck into my head: Do people who say they understand really understand? Since you yourself are a heterosexual man, did you research LGBT issues while getting ready for the film? – For sure. I was worried to portray the LGBT characters in an over-the-top way or as caricatures. I wanted their portrayal to be as realistic as possible so when I finished the script I gave it to gay and transgender friends to give me feedback. They would also come while I was doing the casting and then rehearsing and shooting – they would watch for the actors not to exaggerate, to be authentic in terms of way of talking and gestures. The actor who plays the role of a transgender even lived for one month with a transgender person. Why didn’t you cast a transgender actor? – For me as an actor changing myself, transitioning to somebody I am not means acting. So since I really wanted to see this kind of complete change I chose an actor who is as far from the image of a transgender person as you can think. Besides if I would have casted real LGBT people I wouldn’t have known what kind of directions to give to them as a director. What was the reaction from the LGBT community after they saw the film? – Even before completing the movie, when people from the LGBT community read the script, they said that it is a good story, with something new in it. Usually LGBT-themed movies talk about the love that is not meant to be, the Romeo-and-Juliet kind of love. But Lost to Shame is different from them. Do you know the director Kim Jho Gwang-soo? Yes – he is one of the few openly gay Korean film directors and a renowned LGBT rights activist. – Exactly. We showed the film to him and he said that as many people as possible should see it. So he even recommended it to the Seoul Pride Film Festival where we received the audience prize. When you think of the film’s main character, do you share his opinion? He gets confronted with the LGBT community in unexpected ways. – He is definitely not the same as me, that’s for sure. But honestly, before writing the script me too I hadn’t given a lot of thought to the LGBT issues – whether I understand the queer community or not. But when I started writing, I watched a lot of documentaries, met many gay and transgender people and I think I started to understand them. Or actually rather than understanding them, I got to know them. What was the most difficult thing while shooting the movie? – The lack of money. (He laughs but then becomes serious again:) No, really – since we didn’t have enough money we had to shoot so many scenes per day! And one more thing bothered me: lots of friends came to help me. And while trying to help me, they would try and talk to me, give me their opinion or advice about stuff. But since I had to do like million things simultaneously, there were times when I didn’t give them the attention they deserved – I kind of ignored them while I should have answered to them regardless of whether I agreed with what they said or not. So in the evening on my way home, after wrapping up for the day, I would think “Why did I treat them like that? Why did I hurt those people who just wanted to help me?” That was the most difficult thing to me. There is a scene in the movie where we see a theater full of people! How did you organize this? The day we had to shoot the scene happened to be the coldest day in January last year. Not only this but it was also snowing AND it was a Monday. The thing is the only day we could book the theater was on Monday when it’s closed. So basically till the last minute we didn’t know how many people would come… if anybody would come at all!!! And then I stepped out on the stage and saw the theater full with people! I cried… And all my friends who helped this to happen cried too! I am so grateful to all of them. – Well, I am working on another feature-length script. But in the meantime I am wondering whether or not to shoot a short film…and of course I am looking at different scripts as an actor. At last year’s Bucheon International Fantastic Film Festival I saw a film you were in a supporting role: The Cabinet of Francis. Although it was a feature it was a film made by university students. Was it hard during the shoot? – It was, but as long as a role matches my acting style, I am open to any kind of projects. Besides the actor in the leading role was my classmate from the university and he asked me to help. So after reading the script I thought it would be interesting to act together with him in such a project. And we were shooting in Jeju-do – I really, really like it there! Lost to Shame will screen nationwide throughout Korea in September 2017. Furthermore, Lost to Shame will screen with a Q&A at Seoul Art Cinema on February 26th. As 2015 draws to a close, it’s the perfect time to review the highs and lows the Korean film industry experienced over the past 12 months. As the final figures roll in it’s clear that, commercially speaking, 2015 has been a stellar year with much to celebrate. 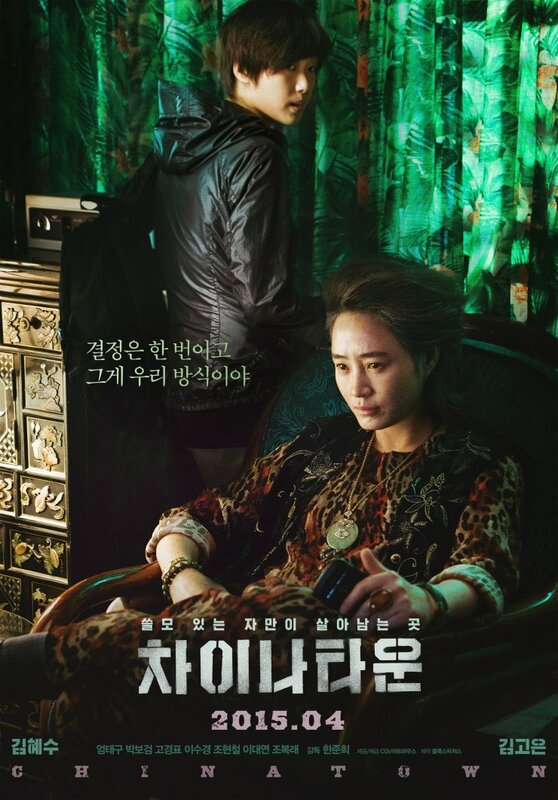 In early December the Korean Film Council announced admissions had hit over 200 million whilst stating total sales of over KRW 1.58 trillion (USD 1.34 billion); two films achieved over 10 million admissions, while six now feature in the top 50 highest grossing Korean film of all time (source: KoBiz). Furthermore, the year still isn’t over as the figures for Himalaya, The Tiger, and The Joseon Magician still haven’t been finalised and look set to add more gains to already impressive figures. However in terms of quality output 2015 was an especially weak year for Korean cinema. In Hanguk Yeonghwa’s review of 2014 I stated the year had been a lackluster one for K-film and, as much as it pains me to say it, 2015 was worse. In fact, the first six months of 2015 were so woeful for the industry that media outlets were forced to acknowledge that, “only 40.7 percent, or 35.46 million cinemagoers saw a Korean film this year, a record low since statistics began in 2004.” (source: Chosun Ilbo, June 19). Many spectators blamed the low attendance on the dominance of big Hollywood films including Avengers: Age of Ultron and Jurassic World, yet critics were also keen to point out that while production values in K-films were significantly improving, Korean output was generally becoming increasingly generic and made for profit which turned local audiences towards international fare. The year began with the continued dominance of historical epic Ode to My Father, which ultimately went on to become the second highest grossing film in K-cinema history. While critics were upset with the film’s continued presence in multiplexes, there also weren’t any strong new releases to topple it as despite a slew of high profile titles appearing in cinemas from January to June – including Gangnam Blues, C’est Si Bon, Detective K 2, Empire of Lust, Twenty, The Treacherous, The Silenced and many more – they were met largely with audience indifference. During this period however, K-cinema saw international success as four titles – Coin Locker Girl, The Shameless, Madonna and Office – were selected to represent Korea at the Cannes International Film Festival in May. While their selection is cause to celebrate, these films too were met with a muted response by critics and audiences alike when released across the peninsula, although Coin Locker Girl notably exceeded expectations. Thankfully, the doom and gloom was lifted in summer. 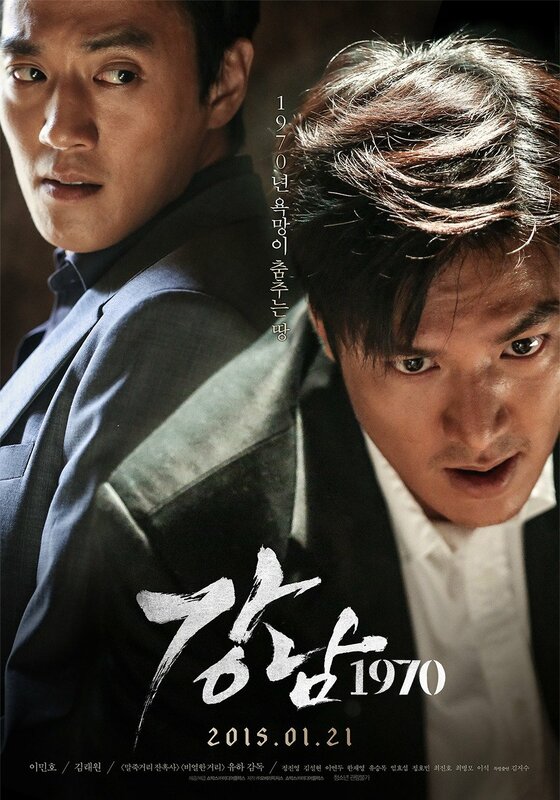 The release of uber-patriotic Northern Limit Line in June was a big success hauling $38.9 million, while a month later ever-reliable director Choi Dong-hoon’s blockbuster Assassination scored over $84 million to become the filmmaker’s biggest ever opening, and currently sits comfortably in seventh place on the list of highest grossing Koreans films of all time. Expectations of the spy-thriller’s longevity turned out to be somewhat exaggerated however as a week later Tom Cruise vehicle Mission Impossible 5 went straight to the top spot, but early August saw the release of Ryoo Seung-wan’s Veteran which became a huge hit with audiences and, thanks to positive word of mouth, surpassed predictions to scoop up the lion’s share of audience revenue to become the biggest film of the year and the third biggest film in K-cinema history securing $89.8 million. Such positivity was continued in November as The Priests and Inside Men defied predictions and became sleeper hits with $36.2 million and $46.8 million, respectively, and helped to propel actor Lee Byung-hun back into some positive limelight. December saw The Himalayas and The Tiger appear in cinemas a day before Star Wars: The Force Awakens. The face-off was widely publicised as a victory for the Korean Wave as, “The Himalayas grossed $8.7 million from Thursday to Sunday, topping The Force Awakens‘ $7.9 million performance over the same period” (source: The Hollywood Reporter). While such articles generally failed to take into account the difference in screen share between the films involved, the Korean film industry took the final figures as a triumphant way to end the year. Ultimately, 2015 was a highly lucrative year for the industry with cinema attendance hitting yet another record high and Korean films attaining around 52% of the market share (source: Chosun Ilbo). 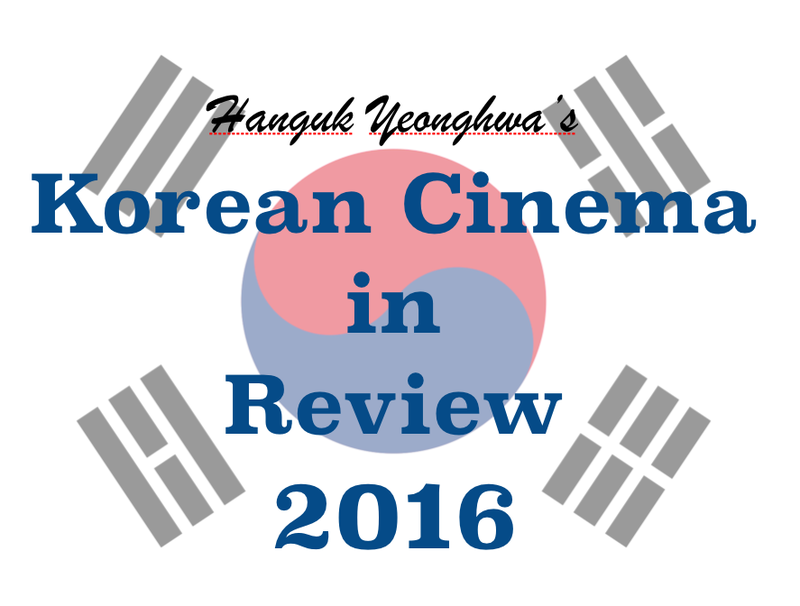 Now that the year is over, here are Hanguk Yeonghwa’s top ten Korean films of 2015.